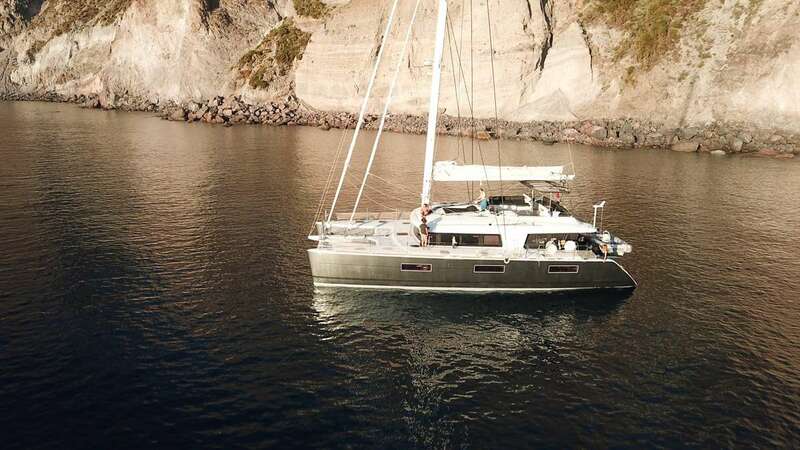 Sailing catamaran KASKAZI FOUR was launched in 2016 by Lagoon of France and measures 18.90m (62’). 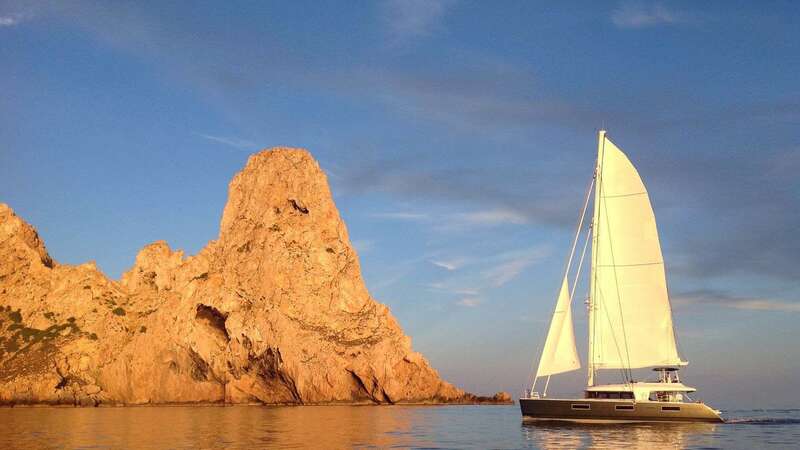 The multi-hulled luxury charter yacht accommodates up to 10 charter guests, in 5 cabins. 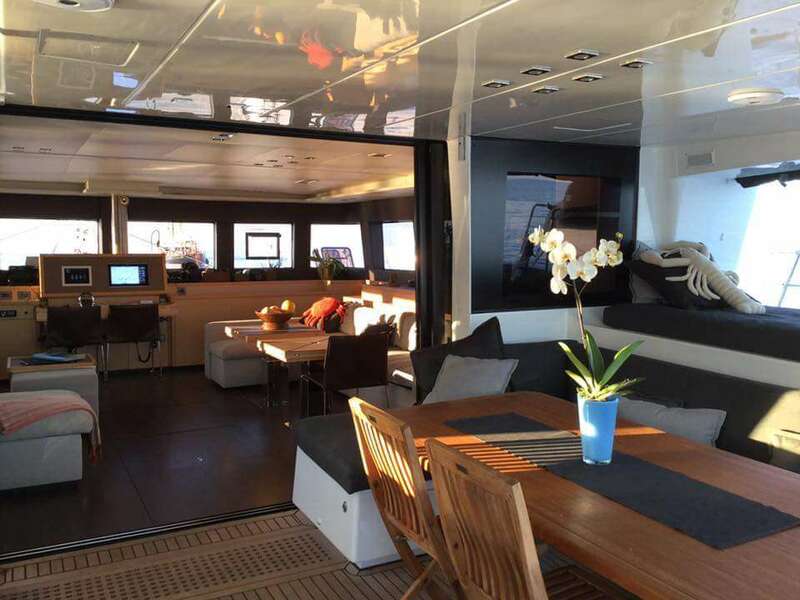 Her interior décor is contemporary a blend of dark and light woods, complimenting the neutral furnishings. 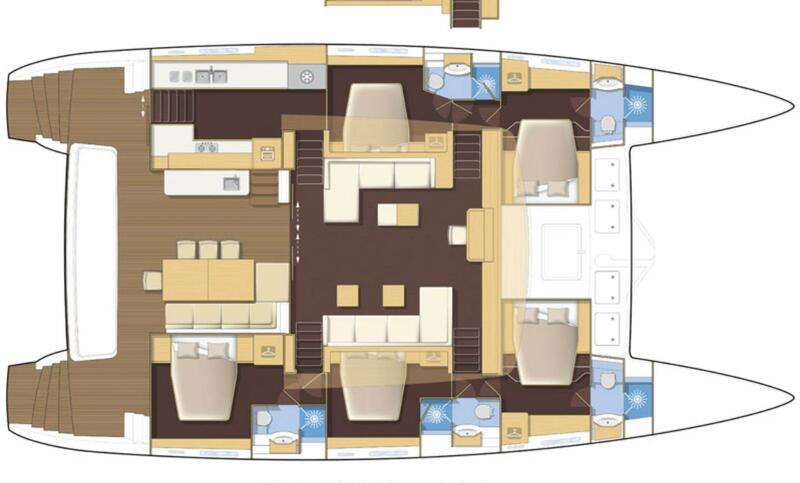 The salon is open plan offering a comfortable seating area to port and formal dining to starboard. Surrounding vertical windows allow in ample natural light while providing scenic views. 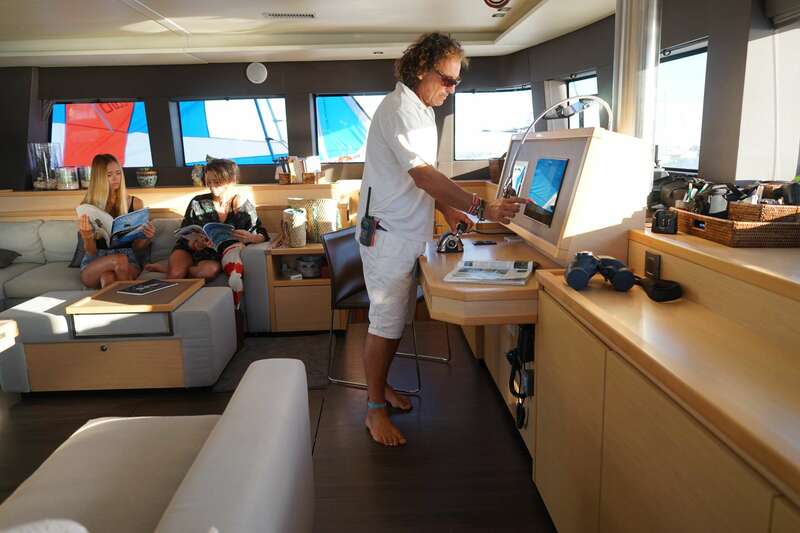 The exterior living areas are generous, ideal for a relaxed charter experience. 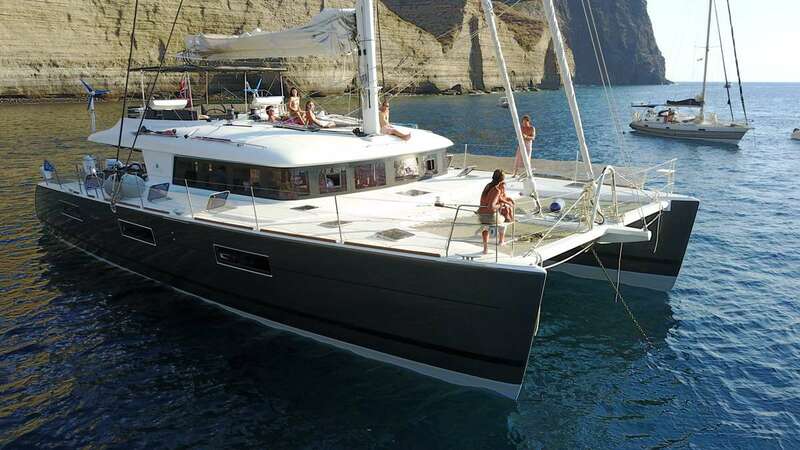 A shaded aft deck is a real social hub, with alfresco dining, raised side sunpads and a large aft seating arrangement. 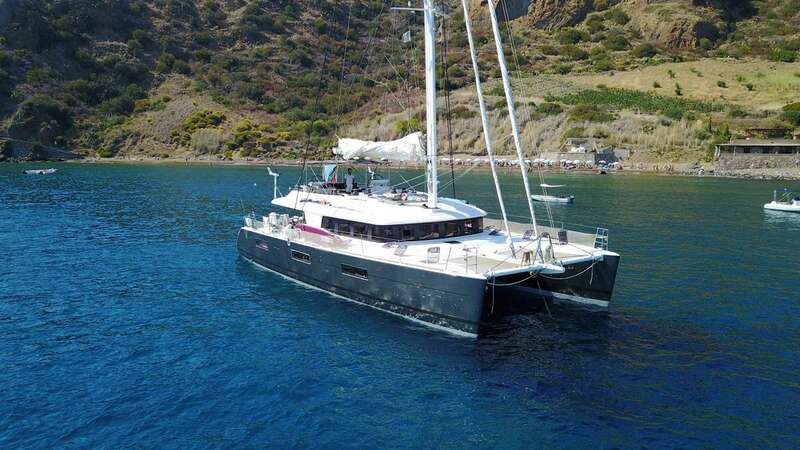 On the foredeck are 2 fitted safety trampolines, which are great for sunbathing. 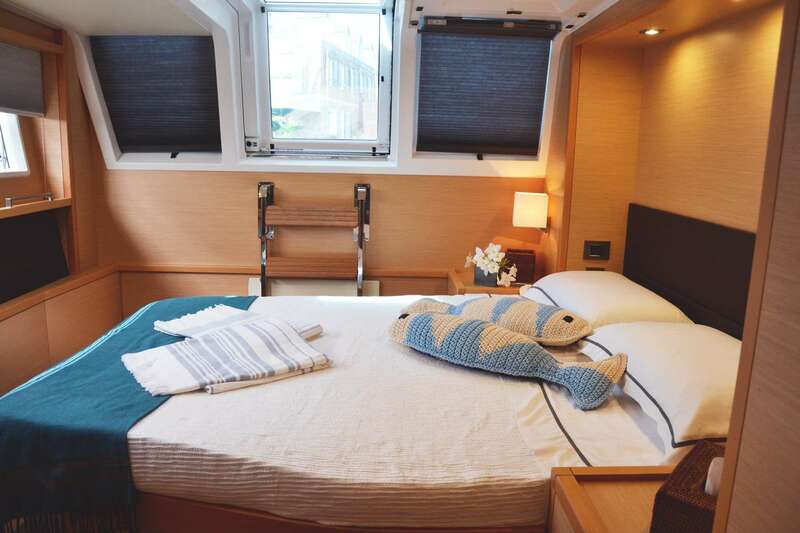 Her upper deck features seating, shade and sunpads. 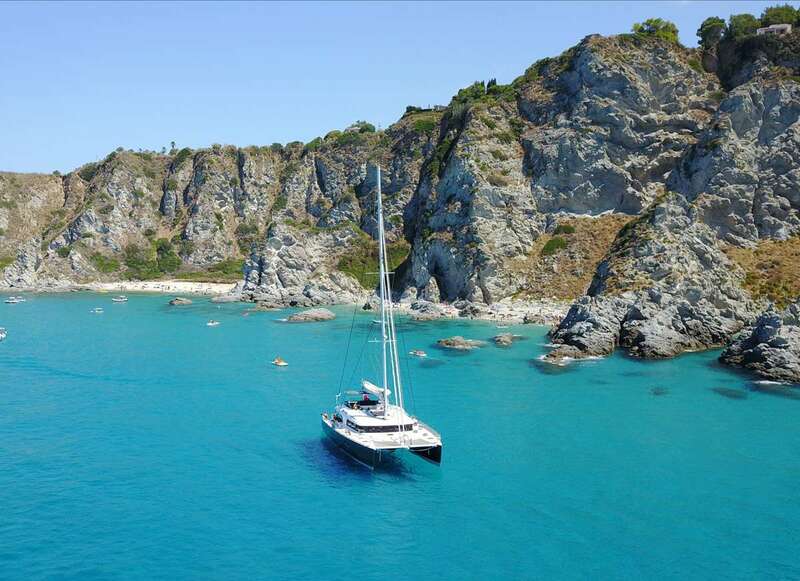 Sloop rigged S/Y KASKAZI FOUR is powered by twin Volvo Penta engines with cruising speeds of 10 knots. 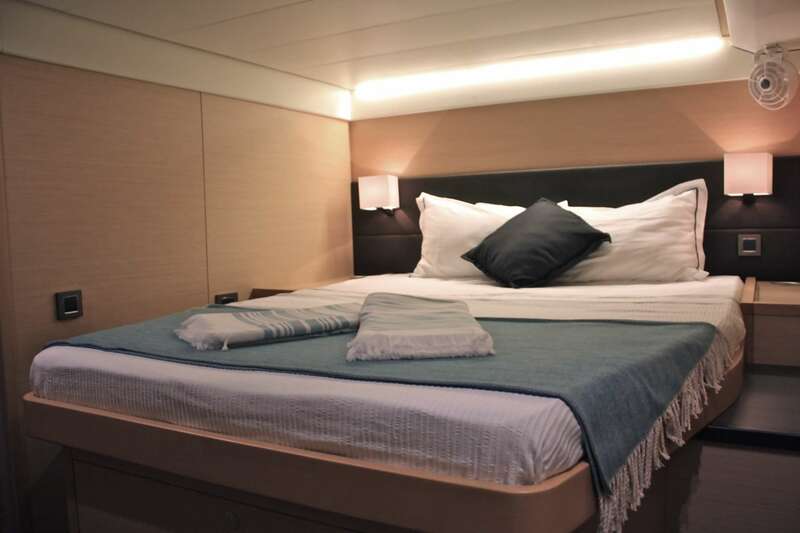 Accommodation comprises 5 double cabins, each with a queen size bed and en-suite, for up to 10 charter guests.